Smell does to discover and enjoy this dish as much as taste. The fragrance reaches the nose before the food reaches the mouth. 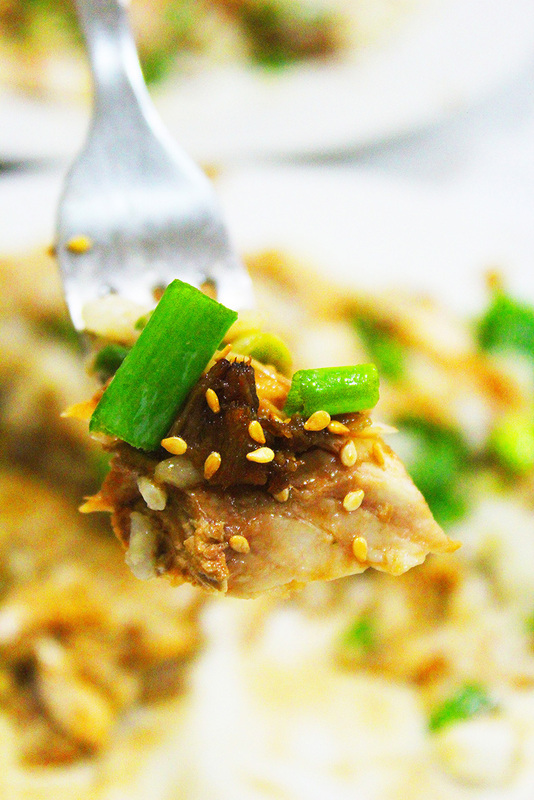 An Asian inspired dish, rich with the ambrosial ginger, garlic, soy, wasabi, sesame seeds and scallions. Whisk together soy, vinegar, brown sugar, wasabi, garlic, ginger and oil. 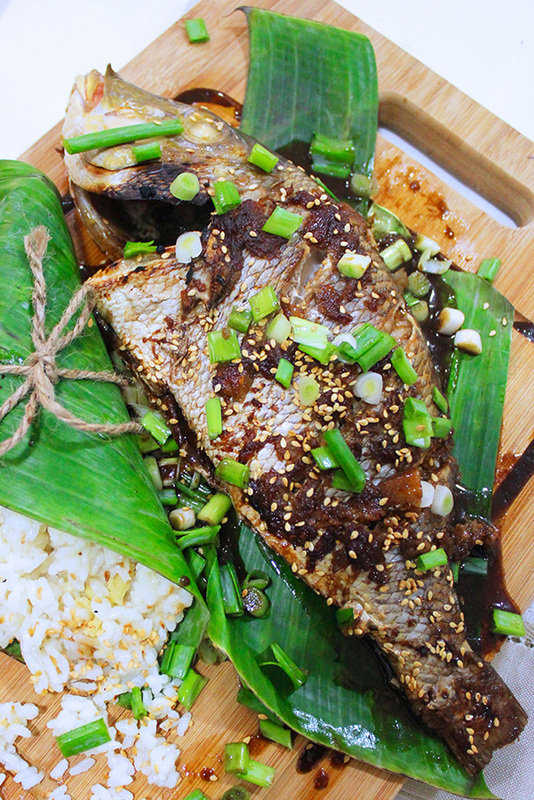 Make diagonal cuts on both sides of the fish to allow more moisture to be absorbed. When roasting a whole fish always ensure the skin is on. Line your pan with aluminum foil and greaseproof sheet. Place the fish on the baking sheet and coat it with the marinade then close the edges of the sheet. 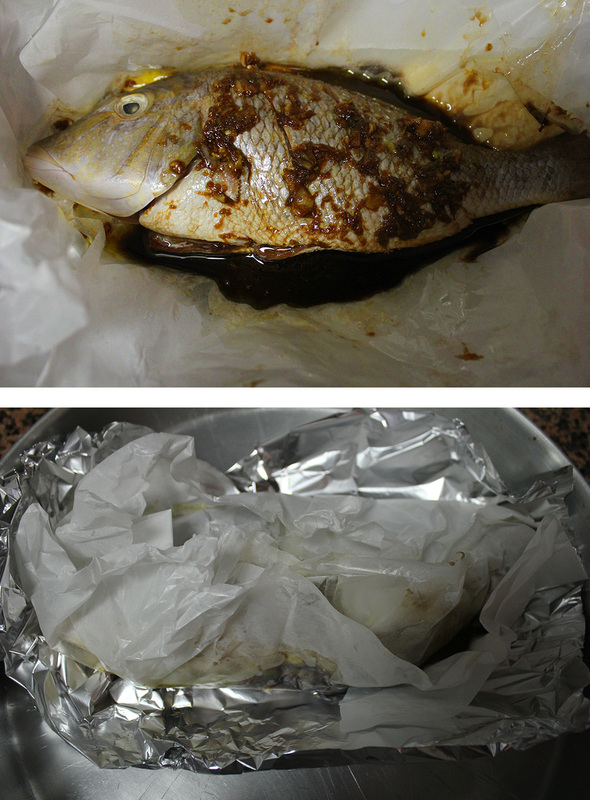 Having the baking sheet on aluminum foil will preserve the marination and the fish will stay moist. Preheat your oven (220°C). Bake for 20 mns. Transfer to a serving plate. 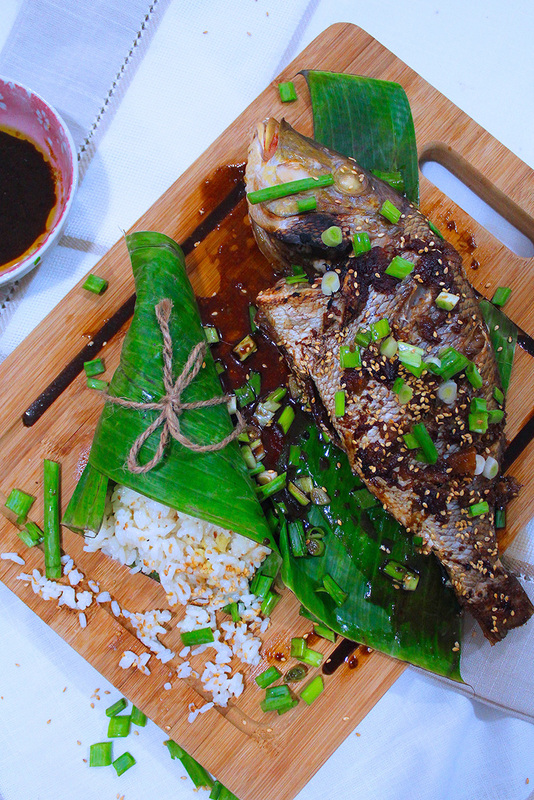 Don’t get rid of the juice, drizzle it on the fish and garnish with the sesame seeds and scallions. Serve it alone or with some rice. 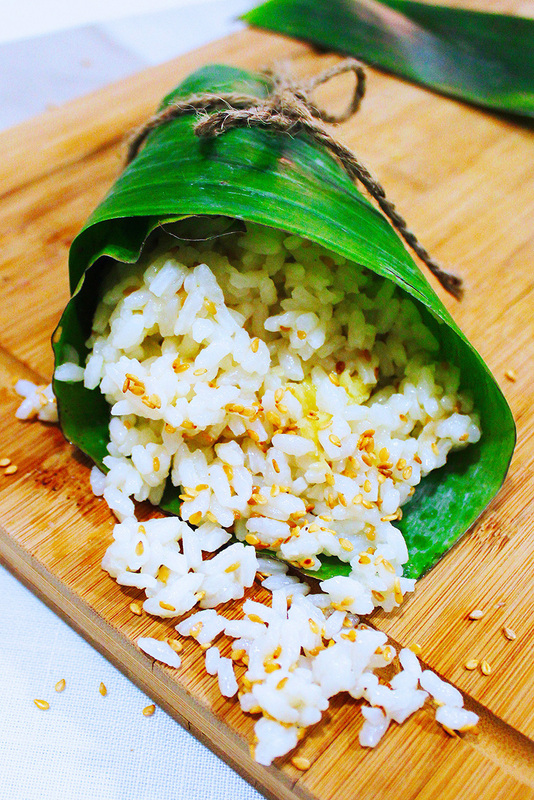 Ginger sesame rice to go with this dish. Heat olive oil in sauce pan. Add ginger and garlic and cook until fragrant for 3-4 minutes. Add rice and water and bring to boil. Cover with a lid, reduce heat to low and let it simmer for 20 minutes. Remove from heat, cover the pan with a towel and let it sit for 15 minutes. Remove the lid and fluff the rice with a fork. Toss in the sesame seeds and taste to check if it needs salt. Dishes with diversified colors and aromatic flavors can usually greatly arouse people’s appetite. It’s hard to describe the amazing taste, you need to try it!